DAVID ZUCKERMAN (Of Counsel) As an active trial attorney, Zuckerman has tried over 60 jury and non-jury trials to verdict. He has also litigated hundreds of preliminary hearings and summary trials. Attorney Zuckerman’s litigation experience has proven to be a vital asset for his clients, time and time again – leading to numerous successful outcomes. Zuckerman is a graduate from the Penn State Dickinson School of Law, where he finished in the top 15% of his graduating class. Before going to law school, he graduated from the Pennsylvania State University with a Bachelor of Arts degree in Crime, Law & Justice. 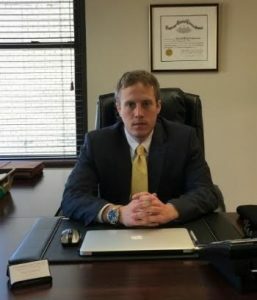 Attorney Zuckerman received numerous awards and invitations into nationally acclaimed legal organizations, including: The National Trial Lawyers 40 Under 40 for criminal defense in Pennsylvania and The National College for DUI Defense. Zuckerman has built a reputation for his compassion, tenacity, experience, and strong presence in the courtroom. Attorney Zuckerman and the Trapani Law Firm represent personal injury clients seriously injured in car accidents, tractor-trailer truck accidents, motorcycle accidents and wrongful death claims. David Zuckerman	Overall rating:	5	out of 5 based on 10	reviews.